Here is a case study written for The Grove Journal about one of several whole-systems change projects I have been co-leading with David Sibbet and other Grove consultants. Driven by economics and demand, the University of California’s newest campus in Merced is expected to double in size by 2020. No fewer than 72 change projects faced Michael Reese, vice chancellor of Business Administration, in 2016 when he engaged The Grove’s Gisela Wendling, Ph.D., and David Sibbet to facilitate a campus-wide 2020 Visioning and Change Alignment Process. The process combined large-scale strategic-change consulting, visual facilitation, Grove Storymapping®, and interactive-network technology in a series of large summit meetings with faculty, staff and students. The meetings were guided by a Change Alignment Team (CAT) of top project managers led by Reese and the former dean of the School of Engineering, Erik Roland. Recently I attended a ‘dialogue on race’ which my friend and colleague Ronita Johnson hosted. Somewhat by surprise, it led me to reflect on how my understanding and experience with racism, as someone born and raised in Germany, might be quite different from those who were born and raised here in the Unites States. Many participants, both people of color and white people, shared stories of their earliest experience of racism. We also talked about American slavery, the current presidential elections, black pride, the police shootings, and other injustices that African Americans experience. We discussed the notion of race as an anthropological construction and racism as a symptom of a power system that is rigged toward the advantages of a few. 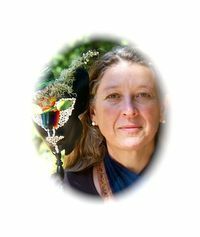 A few posts ago I shared my perception that ceremonies are a collective healing response to the existential experiences of being human. This clarity crystallized when I participated earlier this year in Women’s Business (Ceremonies) with Aboriginal Elder Women in the Central Desert. Previous experiences with indigenous ceremonies elsewhere, helped shape the foundations for this understanding. Ceremonies in general are a way to step out of the ordinary goings-on of daily life to enter a sacred space for personal and collective healing through praying, singing, dancing, silence and the laying on of hands. Ceremonial practices generate movement toward wholeness and wellness by removing the blockages and heavy energy that we accumulate as part of living daily life. These blockages and layers of heavy energy prevent us from feeling and recognizing one’s belonging to this world, that we are an integral part of the great weave of life, and that the living energy travels among, through and between us. 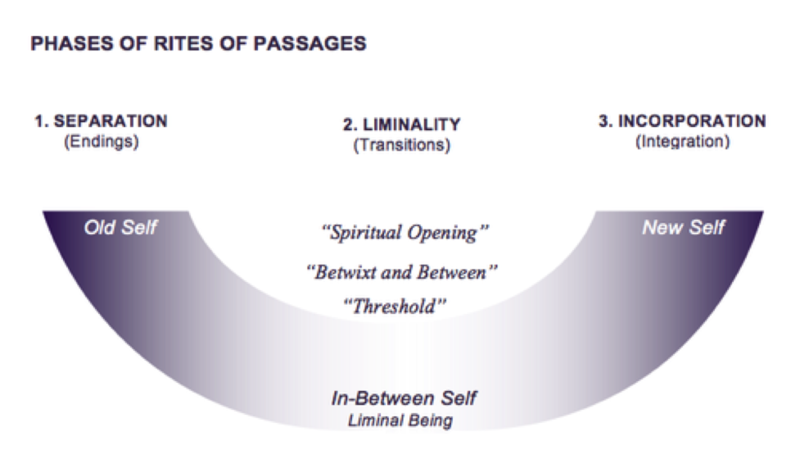 Please feel free to download Understanding Rites of Passages. for a more conceptual overview, its traditional use and application to our contemporary experiences of change. It also provides a few essential references. Change is central to the human experience. Its patterns and rhythms follow ancient archetypal processes that can be observed wherever a death and birth cycle takes place—in nature or the human community. Indigenous traditions have a rich repertoire of knowledge about these archetypal processes and have developed practices that support individuals and communities to more fully and consciously engage, guide and work with the momentum that is present in change. Rites of passage is one of those archetypal processes. Compared to many contemporary models of change this model acknowledges the centrality of the spiritual nature that is at the core of transformative change.